Alan Cross's artist profile of Oasis explores why the music is so popular as well as why the tabloids and music magazines have always found the band so newsworthy. This episode of The Alan Cross Guide to Alternative Rock is loaded with eccentric facts about Liam and Noel Gallagher and the rest of the always-controversial band. Cross has enjoyed a long career in radio and his voice is paced beautifully. Even when he's covering a lot of ground in a short span of time, he never sounds rushed. In his recordings, musicians are portrayed both intimately and expertly. Listeners are left with a profound sense of musical and biographical understanding - and they might just put down their headphones and start a band themselves. 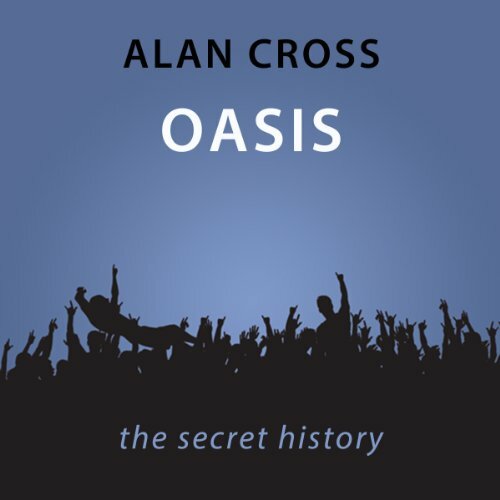 In this new audiobook, broadcaster and music writer Alan Cross narrates the definitive history of Oasis. Cross succeeds once again in revealing the fascinating history behind the music in the same compelling way we've come to expect from his long broadcasting career. Rock on: listen to another Alan Cross Guide.